Zoeva En Taupe Eyeshadow Palette – Review & Swatches! I had this palette for quite a while, and it is nothing new to the beauty community at all. I still think it deserves it’s own review. Firstly it is still available for purchase, and secondly I think it is good to review more than just the newest makeup. We got so much stuff in our drawers that deserves attention too. Just to add to the list of why it is a good idea to review this palette I think it is rare to see a good cool-tones neutral eyeshadow palette lately. It is warm all over and over again, and the cool-toned palettes don’t get that much time in the spotlight. I happen to like coo-toned palettes just as much as warm toned. I think I can pull off both. I actually kind of think cool toned makeup looks are slightly better on me during winter. That’s why I am lucky to have the Zoeva En Taupe in my project pan 2018. Because I get to use it a lot! But, lets talk about the palette then! It has the usual sleek cardboard packaging without a mirror that Zoeva have on all their 10 pan palettes. I really like it because they are sleek and easy to store. In the mean time they feel quite sturdy and I have traveled quite a bit with Zoeva palettes and nothing ever broke. So that’s awesome. The Shade selection is a mixture of mattes and metallics, with one shade with glitter. Stitch by Stitch – Nice cream matte base shade. Not the most pigmented one but it does give a nice base and sets the primer or concealer nicely. Handmade – Pale rose gold metallic. This one is very rich and pigmented. Very smooth and applies nicely. Gallery – Greyish taupe matte shade. perfect as a very cool toned crease color. Match perfectly with the metallics on the second row. Hour by Hour – Light brown matte. Another great crease color. Old Master – Dark greyish purple with fine specks of gold glitter. This shade I didn’t enjoy that much. It had too much fallout and the glitter don’t show up that well on the lid, and it fades a lot throughout the day. The only shade in this palette I didn’t really enjoy. I rarely enjoy shadows with glitter in like this one though. Spun Pearl – Very pale pearly grey. Perfect as an inner corner highlighter. Sheers & Voilers – Light metalllic grey with a slight violet sheen. Buttery and smooth. Outline – Mid-toned taupe. Rich. smooth and buttery. A stunning all over lid shade! Wrapped in Silk – A more greyish taupe I would say? I find it very hard to describe this shade, but it is a nice smooth metallic that looks beautiful on the lid as well. Exquisite – Matte mid-toned purple. Works well as a crease shade if you want a bit more dramatic look. I think for everyday makeup looks this is really a good choice. There is a nice base shades, three different crease shades and some gorgeous metallic lid shades that you can easily create a fast but pretty makeup look for everyday wear. This is obviously not your palette of choice if you want a dramatic evening look, but it strikes me how user friendly and easy this is to use. The shades blend fast and easy, which is great for busy mornings when you don’t have time to use blending as your cardio exercise. It is just a solid palette for easy-going everyday looks. I got tons of palettes (almost literally) but I don’t have anything similar to this. This one stands out a bit from my neutral warm and colorful palettes. So if you are looking for your everyday cool-toned palette this is definitely one I would recommend! Zoevs En Taupe Makeup Looks – 1 palette, 2 looks! Since Zoeva En Taupe is one of the four palettes I have in my project pan 2018 I figured I had to present some makeup looks with it. This is not a new palette, neither to me or to the world, but I want to do some looks and give a proper review of it anyways (coming soon!) because it is, in contrary to so many other palettes released lately, a cool-toned one. So if you are sick of all neutral palettes being loaded with warm shades, then this might be something worth checking out for you! Zoevs En Taupe Palette – Stitch by Stitch, Hour by Hour, Gallery, Old Master, Spun Pearl. Urban Decay 24/7 eye pencil – Zero. Maybelline Total Temptation Mascara – Black. Huda Beauty Lashes – #8 Scarlett. Zoevs Brow Spectrum – Bro30, Bro10. Zoeva En Taupe – Stitch by Stitch, Hour by Hour, Exquisite, Sheers & Voiles, Outline, Wrapped In Silk, Old Master. Etude House Oh M’Eye Line – Black. Zoeva En Taupe – Stitch by Stitch, Gallery, Old Master, Spun Pearl, Exquisite, Sheers & Voilers. Wet N’ Wild Photofocus Concealer – Light Ivory. Zoeva Brow Spectrum – Bro70, Bro20. Zoeva En Taupe – Stitch by Stitch, Hour by Hour, Exquisite, Handmade. Kiko Long Lasting Stick Eyeshadow – 15. Kiko Eye Pencil (name rubbed off, but it it pink). MakeupGeek Pigment – Wild Fire. I hope you enjoy the looks, and stay tuned for the upcoming review! 4 looks 1 palette – Zoeva Offline! I don’t see many people talking about Zoeva compared to how much attention I think they deserve, and I see even fewer people mention the Offline eyeshadow palette. Truth is I think it is a pretty cool palette, with the first row of shadows being neutrals and wearable shimmers, while the second row has some nice pops of colors that work well together. In these looks I focused on the second row, which is hardly surprising to you if you have been following me for a while. List of products are under each photo. Hope you enjoy them! Zoeva Offline Eyeshadow Palette – Ring Ring Ring, Pause, Contact, Unavailable, No Connection. Smashbox Studio Skin 24 Hour Waterproof Concealer – Fair. Lancôme Volume-à-Porter Mascara – Black. Ardell Fauxmink Lashes – 810. Nail art gems from Ebay. Zoeva Offline Eyeshadow Palette – Ring Ring Ring, Pause, Contact, Pasithea, Interpersonal, 404. Maybelline Master Drama Kôhl Eye Pencil – Ultra Black. Zoeva Offline – Ring Ring Ring, Contact, No Connection, Unavaliable, 404. Tarte Shape Tape – Light Neutral. Zoeva Offline – Ring Ring Ring, Pause, Human After All, Contact , Pasithea, Interpersonal, On/Off. Zoeva Brow Spectrum – Bro60, Bro40. I think I prefer the third look myself, but don’t be fooled by these looks because I used this palette a lot for everyday wearable looks for a while, and it works just as good for that purpose. So this palette can be both fun and work appropriate. But stay tuned for the upcoming review! Zoeva Opulence Eyeshadow Palette – Review & Swatches! One of the most instagrammable (yes, that is a word now) palettes from Zoeva that I’ve seen in a long time! The packaging is absolutely stunning with the dark background, flower decor and gold details. It is both eye-catching, unique and beautiful! If you have seen my eyeshadow palette collection you know I have a weakness for Zoeva palettes (if you haven’t and you are curious you can find it here. 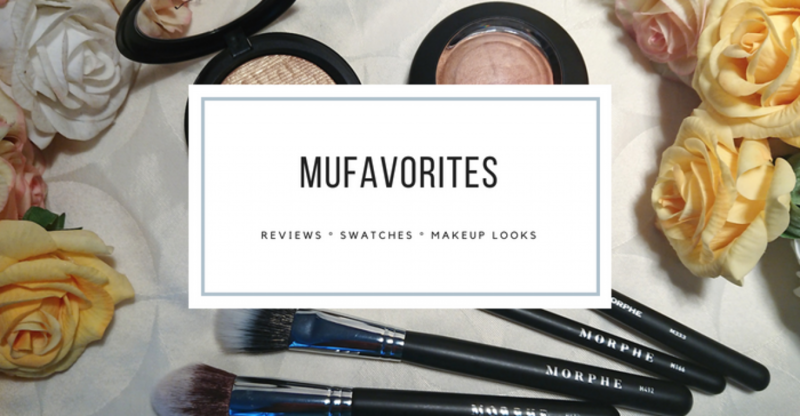 There are tons of goodies to look at here, not just Zoeva Palettes). I am really fond of their packaging. It is so sleek and easy to store, and since they are quite compact I feel confident about traveling with them without them breaking. There is no mirror, which off course is a drawback for some of you, but that helps to keep the packaging so slim. The inside is sooo pretty too. Not just the pretty decor and delicate gold detailing, but the inside also reveals the gorgeous selection of shades. The shades are mostly shimmers, except one shade (the red) which is almost matte. The obvious thing about this palette is that it needs a companion, a sister palette, to create a full look with this palette. You do lack a base shades, crease shades or that dark matte do deepen the look. You can however use this palette for simple daytime looks. This palette is filled with those easy going one-and-done eyeshadows where you can just put one of them on as a lid shade, blend out the edges and run off to work. So in that matter this is really great for every day of you are one of those who likes a wash of shimmery lid color o\on your eyes and call it a day. I found that except form the red, the blue and the really dark purple all the other shades are prefect one-and-done shades. But, the shades that drawn me in can offer something more exciting if you want to get adventurous. The red and the blue are standout shades that offers the possibility to create really different, bold and unique looks. The quality of the shades are very true to Zoevas usual great quality. The metallics are very rich and buttery, and easy to work with. There are no true mattes in the palette. The closest you will get it the red shades, with has a slight pearl finish when swatch, but basically looks matte on the eyes. Overall I find this to be a very pretty piece, bot inside and outside. If you love soft metallics I think this will definitely be a hit! 1 Palette, 2 Makeup looks- Zoeva Opulence! There should be no secret that I am a fan of Zoeva eyeshadow palettes. The brand was even featured among my top three affordable brands for 2017, and you can have a read about it here if you fancy it! Opulence is a beautiful and different palette. Whats great is that you can do both wearable and daring looks with it. So I tried to do one of each, with one using the popping red and blue from the palette, while the other look I think would be suitable for very many occasions. You know the drill, the list of products are under each picture. Zoeva Opulence Palette – Get Your Glory, Koh-I-Noor, Golden Years, Queen for Day, Imperial, High Chair. Zoeva Brow Spectrum – Bro10, Bro60. Huda Beauty Lashes – Scarlett #8. Zoeva Opulence – The Only Delight, Sense of Movement, Imperial, Industrial Fortune. Zoeva Brow Spectrum – Bro70, Bro50, Bro,20, Bro30. There will soon be a full review of the palette in use by the end of this week, so stay tuned if you are interested in that!